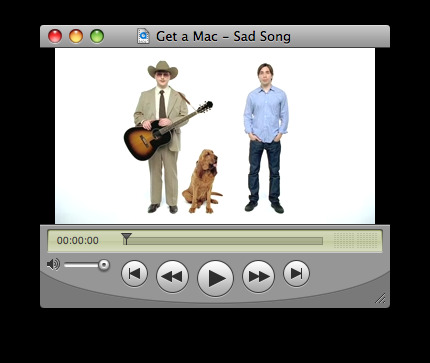 The latest Get a Mac commercial by Apple, where PC sings Mac a sad song, accompanied by a dog, about leaving for the Mac. It has just been published to The Daily iLife podcast, which you can subscribe to in iTunes or watch here. PC sings a short country-blues style song about people ‘leaving him’ for Mac.